When it comes to depictions of World Wars, Germans have not fared so well. Therefore, it’s a bit surprising that there’s a board game out there casting the Germans as protagonists during WWI. How could this possibly be??? Allies are, like, THE BEST. Well, don’t get yourself worked up into too much of a tizzy. 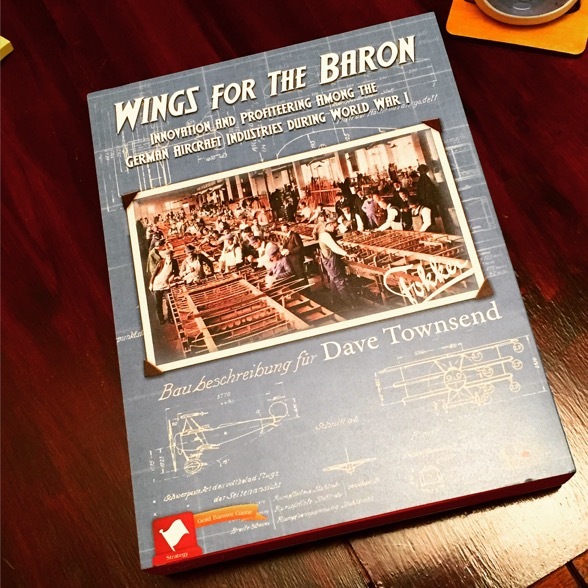 The morality of WWI is hardly a factor in the entertaining, historical game Wings for the Baron (even though at times you will find yourself actively rooting against ‘Murica).